Unlike a brushless DC motor which rotates continuously when a fixed DC voltage is applie d to it, a step motor rotates in discrete step angles. Stepper Motors are manufactured with incremental steps per revolution of 12, 24, 72, 144, 180, and 200, resulting in stepping angles of 30, 15, 5, 2.5, 2, and 1.8 degrees per step. The stepper motor can be controlled with or without feedback. 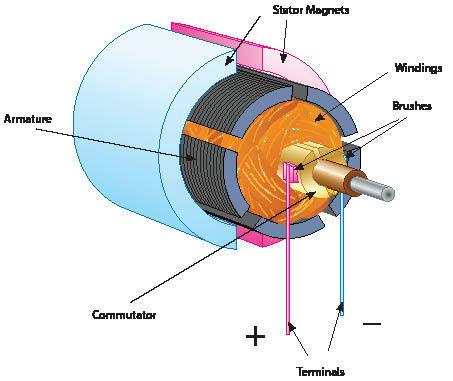 Stepper motors work on the principle of electromagnetism. There is a soft iron or magnetic rotor shaft (rotor -= rotate...it spins) surrounded by the electromagnetic stators (stators = stationary...they're fixed locations). The rotor and stator have poles which may be teethed or not depending upon the type of stepper. When the stators are energized the rotor moves to align itself along with the stator (in case of a permanent magnet type stepper) or moves to have a minimum gap with the stator (in case of a variable reluctance stepper). This way the stators are energized in a sequence to rotate the stepper motor. 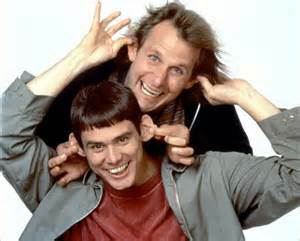 There are two basic types of steppers-- bipolar and unipolar. A unipolar driver's output current direction cannot be changed. 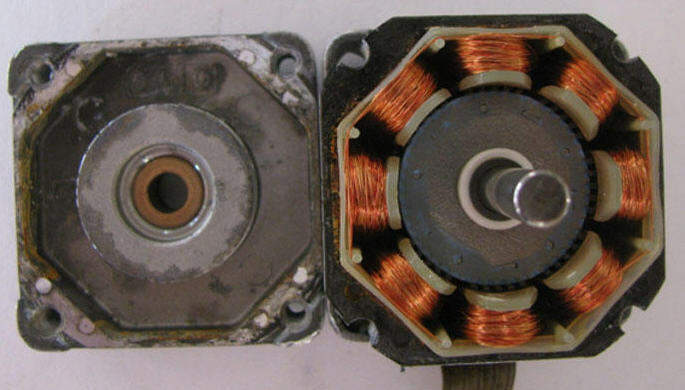 There are two sets of the coils for each phase in a motor. Only one set of the coils can be energized at a time. Each coil represents one phase. Therefore, only 50% of the winding is utilized in the unipolar drive. The number of mechanical phases equals the number of electrical phases. Due to the fact unipolar drivers only use 50% of the windings, the performance ranges from low to moderate. The benefit of this is that it doesn't generate too much heat. Current direction changed from the driver creates another mechanical phase. For this last reason, proper heat dissipation is important with bipolar drivers. A bipolar stepper has 4 wires and Unipolar steppers have 5,6 or 8 wires. The rotor has a permanent magnet attached to it. The stator is made up of coils as shown in the image to the left. 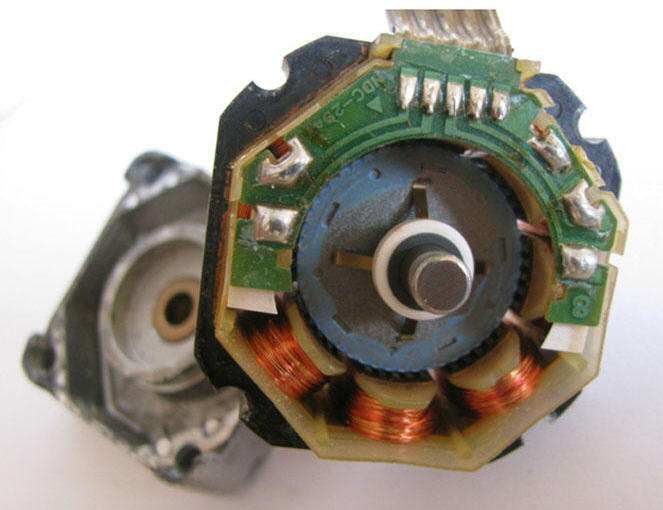 There are eight coils in this unipolar stepper motor. Every coil in the motor behaves as an electromagnet, when they are energized by electrical pulses. For this particular motor, the opposing coils are paired and each pair shares a common wire.You can see that there are five electrical conntections of the PCB (one common, and four to control each coil pairing). 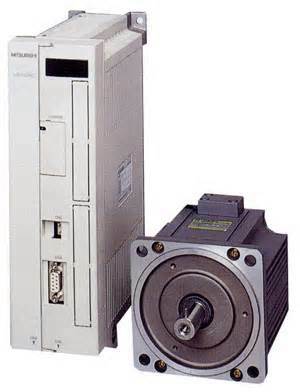 Stepper motors tend to be less expensive than servo motors (more on servos in Part III), and they are easier to control due to the fact that their precise incremental movements do not require posistional feedback. Simply command this 'open loop' motor and the location is predictable. Now, if a pulley attached to motor shaft comes loose, or if a timing belt attached to the pulley were to lose a tooth due to wear, it is conceivable that the device being controlled could act in an unpredictable way (gets lost) and could fail (crash). Stepper motor control circuits can be viewed with an oscilloscope.You would need to identify the driver chip or indexing controller being used and look at the pulse train (disconnect any pulleys first).with the motor attached. The motor itself can be tested with an ohmmeter. If you have a bipolar motor, place the ohmmeter between the positive and negative input terminals of each winding. The resistance of the two windings should be exactly the same. If not, the motor must be replaced. If you have a unipolar motor, place the ohmmeter between the positive terminal and the com terminal and then between the negative and com terminals. Do this for each winding. In each case, the resistance should be the same for all measurements; if not, the motor must be replaced.